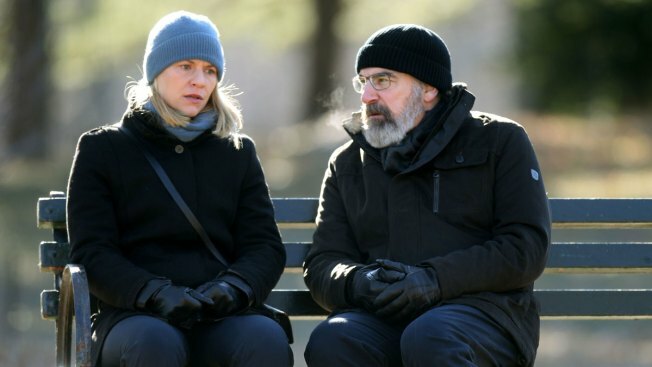 NEW YORK, NY - DECEMBER 20: Claire Danes and Mandy Patinkin filming "Homeland" on December 20, 2016 in New York City. Members of the cast of TV's "Homeland" call it "spy camp." It's when they travel to Washington to pick the brains of top U.S. intelligence officials.